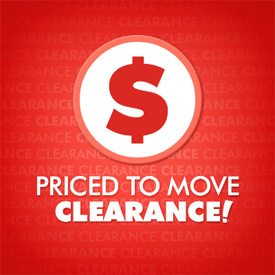 Our storage shelves are getting too crowded so we are making a few special items available at prices up to 50% off. These items will not last long at these low prices. Order now! Supplies are limited.